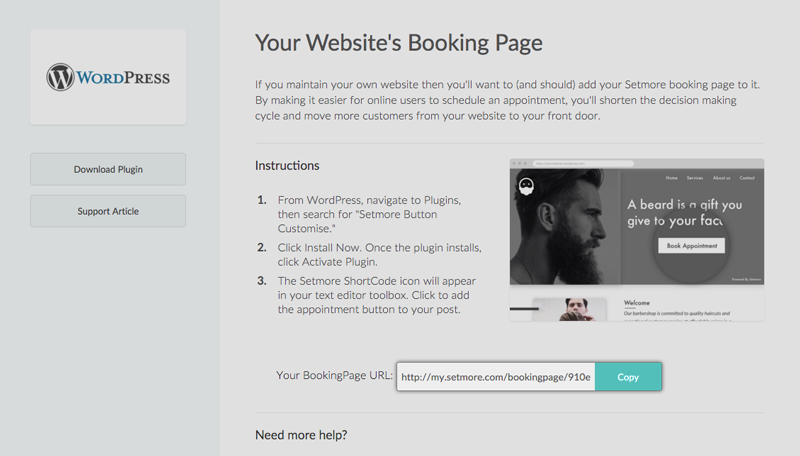 The Setmore Wordpress plugin will allow you to embed a "Book Appointment" button on your WordPress website in the form of a widget. When clicked, this button will open your Setmore Booking Page and enable the user to book an appointment with your business. 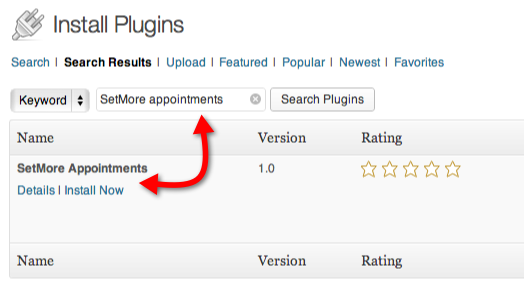 You'll be able to drag-and-drop the "Book Appointment" button widget anywhere on your widget-enabled WordPress pages. 1. 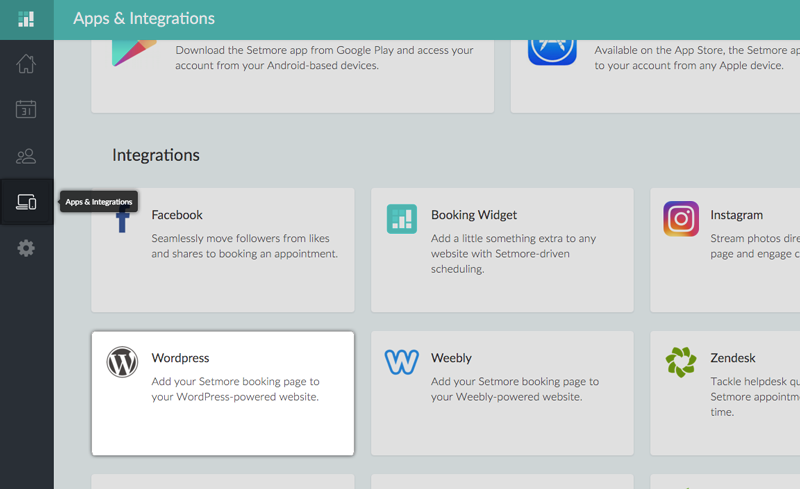 In your Setmore account, navigate to Apps & Integrations, then scroll down and click on the WordPress integration card. 2. In the WordPress details menu, find the form field titled "Your Booking Page URL," and click the "Copy" button. 3. Download the Setmore plugin for WordPress here and upload the plugin file to the /wp-content/plugins folder. Alternatively, you can search for "Setmore Appointments" through the plugin directory of your WordPress admin's dashboard and install it that way. 4. In WordPress, Navigate to Settings > Setmore. You'll see an empty form field titled "Your Setmore WordPress URL." Paste the URL that you copied from Step 2 here, and click "Save Changes." 5. Navigate to Appearance > Widgets, then drag the Setmore widget into a widget-activated area of your website's theme. The Setmore "Book Appointment" button will now appear in this area of your website.